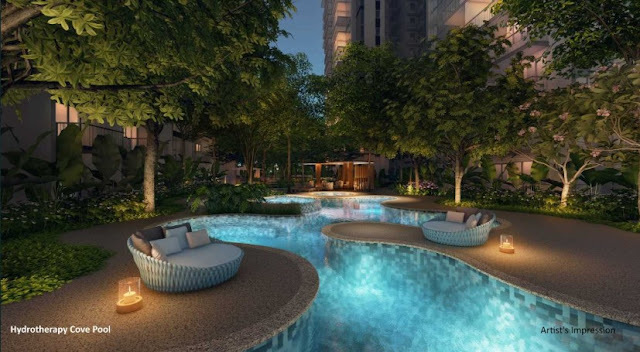 Florence Residences at Hougang Ave 2- Mega Launch at S$1,450psf average? Went down to The Florence Residences showflat last week to see the latest upcoming development developed by Logan Property in Hougang. This was originally a HUDC site that was being en bloc. I can still remember visiting one of the units during my search for a resales HDB during 2007/2008. The cost price of a unit then was around S$800K. If only I have bought it then, would have become an instant en bloc millionaire last year….whaha. This is a huge site that is approximately 386,000sqft in size. The developer will be building 1,410 units. 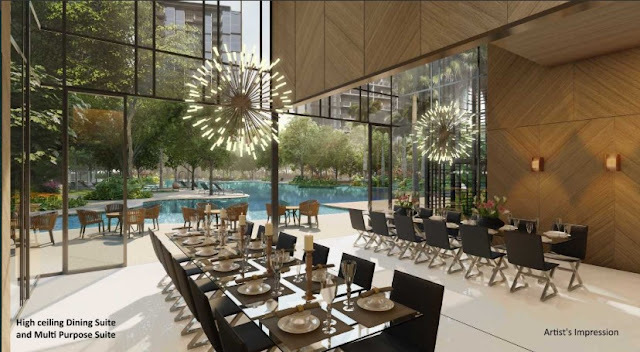 The Florence Residences and is near north east line Hougang MRT station and Kovan MRT station. The side gate at Florence Road will lead to Kovan area with a 10min -12mins walk. Many good eateries such as the famous Punggol Nasi Lemak, Yong’s Teochew Kueh and Lola’s Cafe are found along Upper Serangoon Road and Simon Road. Since this is within 700m to Kovan MRT station, this is actually a walkable distance to MRT and bodes well for rental or future capital appreciation. There are over 12 amazing club concepts and 128 facilities in this development. The centerpiece is the gigantic 80m main pool at the center of the estate. The only issue I have is the presence of only 1 swimming pool which is being shared by 1,410 units. 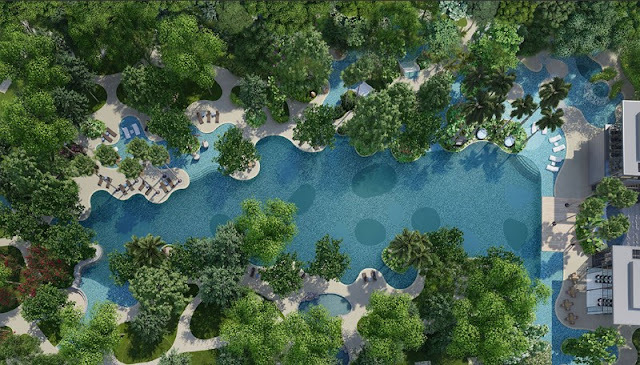 For similar en bloc HUDC such as Riverfront Residences and Jadescape, there are 2 swimming pools to spread out residents. For the internal layout of units, I love the efficient squarish layout of units on display. However, I nearly fainted when the property agent told me that the developer target to launch this at an average of S$1,450psf. So, a 2 bedder (635sqft) starts from around S$863K, 3 bedder (893sqft) at around SS1.222Mil, 4 bedders (1,281sqft) at approximately $1.675Mil and 5 Bedder (1,668sqft) at S$2.41Mil. I am still shocked at the launch price of units in suburbia areas these days. 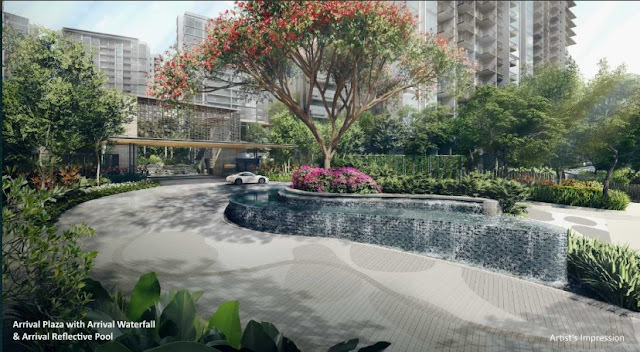 With S$1,450 psf, one may consider getting a unit at Kovan Residence (right on top of Kovan MRT station) if one does not mind a resales unit. 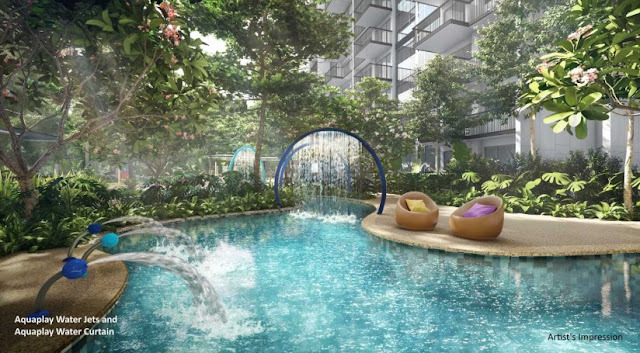 If compare to the upcoming CDL and Capitaland Sengkang Centre Residences at Buangkok which is projected to launch at S$1,650psf to S$1,700psf, Florence Residences thus appeared to be cheaper. 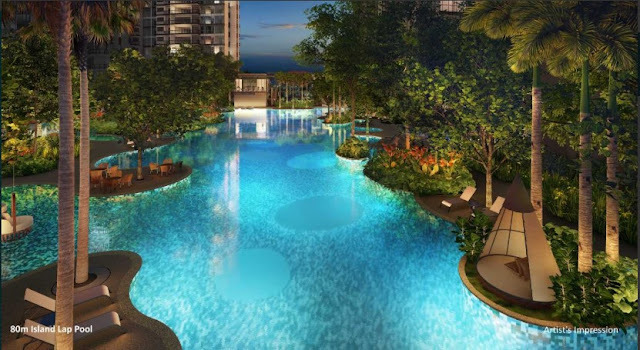 Will you buy a unit at The Florence Residences?